His first wicket was a full-length delivery that bounced more than the left-handed batsman expected and took a healthy outside edge to slip. His second wicket was a big turner that came back in sharply to the right-handed batsman, took the gap between his bat and pad, and shattered his stumps. His third wicket was an incredible googly, which followed two consecutive chinamans, and bamboozled the right-hand batsman by taking his off-stump. 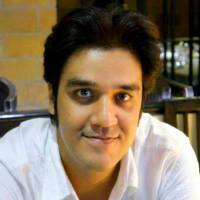 These were 22-year-old left-arm chinaman bowler Kuldeep Yadav’s first three international Test wickets against three quality Australian batsmen – David Warner, Peter Handscomb and Glenn Maxwell respectively. The young spinner – India’s first chinaman bowler – made his debut in the Dharamsala Test against Australia earlier this year and made a terrific first impression, ending with figures of 4-68 in the very first Test innings of his career. Even more than the wickets he took, it was the manner in which he went about his job on debut that had everyone thoroughly impressed. Very assured in his approach and not at all cocky – as young cricketers of this generation tend to be – Kuldeep was a breath of fresh air. He seemed to have a mature head on his shoulders and was planning his wickets astutely. That he has exhibited these traits at such a young age, and in only his first Test, has given a lot of hope to Indian cricket that Kuldeep Yadav can be their next big thing. No, this is not being too extreme. And no, he is not just a one-hit wonder, either. Kuldeep has been doing consistently well in domestic cricket and was quite superb in this year’s IPL. Numbers may show that he has just 12 wickets to his name in the 2017 IPL season for the Kolkata Knight Riders. But the heart with which Kuldeep bowled and managed to outfox even the best of batsmen like Mahendra Singh Dhoni on flat surfaces show that he is the real deal. So yes, getting excited for a natural, young talent like Kuldeep is justified. Because it is always thrilling to watch when a young sporting talent emerges out of nowhere and makes a mark at the world stage. Indian cricket, especially, loves swooning over any young kid who shows even the slightest of sparks. But one has to tread cautiously here. For far too long we have seen countless young Indian cricketers emerge, shine briefly, before fading away into oblivion. Irfan Pathan and RP Singh come to mind from the recent examples. And when someone is as prodigiously talented as Kuldeep Yadav, extra caution needs to be taken. Because he is different, he is fearless and has that X-Factor with him. To see that he manages to retain that for some time at least will be the responsibility of the Indian selectors and team management. 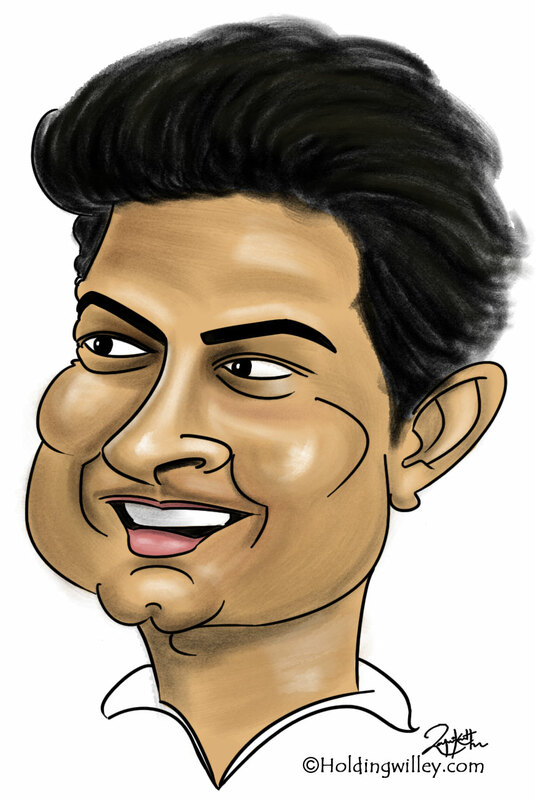 Hailing from the small town of Kanpur in Uttar Pradesh, Kuldeep Yadav has had a modest upbringing. As a youngster, Kuldeep wanted to be a fearsome left-arm pace bowler in the mold of Wasim Akram but his coach Kapil Pandey instead asked him to be a chinaman i.e. a left-arm wristspinner. After working hard with his coach and honing his special skills, Kuldeep got into the U-16 and U-19 teams of his state team. Since chinaman bowlers are a rare breed and Kuldeep was good at his job, getting the notice of selectors wasn’t that hard for the youngster. The first real impression he made was at match at the Wankhede Stadium, where, playing for the UP U-19 team, Kuldeep snared seven wickets and even scored 80-odd runs. That got the attention of the Mumbai Indians talent scouts who were present at the stadium and Kuldeep was eventually a part of franchise’s squad in 2012. Although Kuldeep did not get a game in the two years he was with the Mumbai Indians, he did go on to impress Sachin Tendulkar by getting the maestro bowled in the nets. The next big leap for Kuldeep was featuring for India in the 2014 U-19 World Cup. He ended the tournament as the joint second-highest wicket taker with 14 wickets in just 6 games and also took a hat-trick against Scotland. Ever since that Kuldeep has been steadily and consistently improving with each tournament he has played in. The last year, especially, has been extremely productive for the chinaman bowler. He was Uttar Pradesh’s leading wicket-taker in the last Ranji Trophy with 35 wickets from 8 matches and with 466 runs he was also the team’s leading scorer. Then, he was also the highest wicket-taker in the 2016 Duleep Trophy, with 17 wickets in just 3 matches for India Red. In all, Kuldeep has snared 39 wickets in 10 First-class matches in the 2016/17 season. These are, undoubtedly, some very impressive numbers. Now that he has made his India debut, and very impressively so, the turning point for Kuldeep Yadav has already happened. The more essential thing now would be how he takes the next steps. There is no doubt that Kuldeep is a special talent and hence needs to be nurtured carefully lest he burns out or fades away. The variations and guile he has displayed thus far makes the chinaman bowler a precious and rare commodity. In fact, it is for that very reason he should definitely have been in that Champions Trophy squad with the team. Regardless, with significant overseas tours coming up in the future, Kuldeep Yadav should be readied as he may well emerge as India’s ace in the pack on non-conducive pitches. So this young man will certainly be closely observed in the coming days. One hopes that he has quite a few new tricks up his sleeve to bamboozle batsmen and go on to do justice to the exceptional talent he has.